The Chief Minister,Kamal Nath has warmly welcomed the central government’s principle approval for the construction of six National Highways in Madhya Pradesh and six lane expressway construction for Bhopal and Indore. 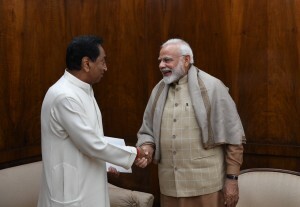 Madhya Pradesh Chief Minister Kamal Nath had recently met the Prime Minister of India Narendra Modi in Delhi and had urged for the support for development works in the state. Thenewsmanofindia.com recently had reported about the warm atmosphere of this maiden meeting of both the top leaders, Thenewsmanofindia.com had mentioned in it’s report that the said meeting between the PM and the CM diepicts the politics of principals, no matter what the political senerio is around, but the diginity and the values of one great nation remain intact.